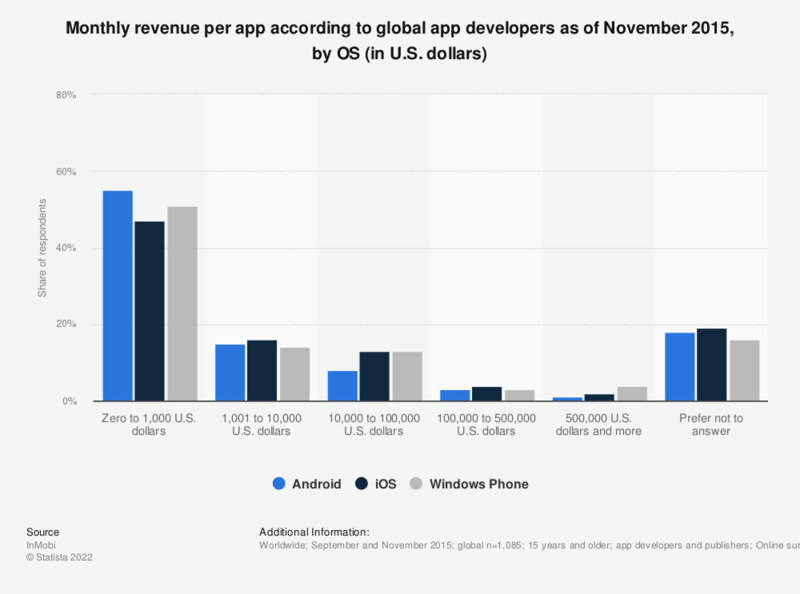 This statistic ranks the global monthly per-app revenue according to global app developers as of November 2015, sorted by operating system. According to the industry survey, 47 percent of responding iOS app developers earned 1,000 U.S. dollars or less per app in a month. Four percent of Windows Phone developer respondents generated more than 500,000 U.S. dollars in monthly app revenues.